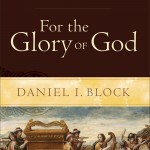 I recently ordered a book by Daniel I Block entitled “For the Glory of God – Recovering a Biblical Theology of Worship.” While I plan to write an extensive review of it when I’m finished I just had to mention that I find this book to be fascinating, delightful, challenging, and helpful. 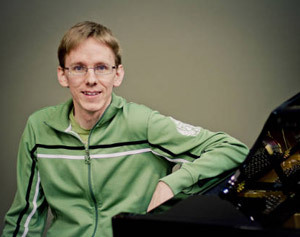 In the book, the author sets out to take a look at what “worship” truly looked like in the Old (he calls it First) and New Testaments and how that applies to aspects of not only our worship services today, but our whole lives. 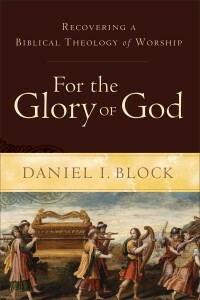 Daniel Block had quoted a “Prayer to Every God” found in ancient Nineveh that showed that the psyche of the worshiper was that 1) They knew the gods were angry at them. 2) They didn’t know which gods were angry at them or why and 3) They didn’t know what to do to be made right with those gods. The God is Israel is vastly different: He shares His name and very nature with us, gives us reasons why we are not right with Him and gives us clear instruction on what it takes to become right with Him. Wow! I am thoroughly enjoying this book so far, and will review the whole thing at a later date. Highly recommended reading. How accessible is it? I’m a bit burned out on heavy theology books at the moment.